Raisina Series: Can an Election be stolen? Can an Election be stolen? The live demonstration in the Delhi Assembly last week of how an Electronic Voting Machine (EVM) could be tampered made tangible and credible a threat that most of us thought to be a conspiracy theory muttered by losing parties after an election defeat. Now before I go forward let me underline that despite great doubt and suspicion we have no evidence that EVMs were tampered in the recent assembly elections, and with the Election Commission of India’s (ECI) current posture I doubt it will ever rise above the level of suspicion and doubt. I’m not writing this piece about what might have happened in the past but the possible vulnerabilities our electoral process currently faces now that we know EVMs can be tampered in order to manipulate the vote tally by such stealth that no election official from the high and mighty Chief Election Commissioner all the way down to poll booth officials would even be aware of it. 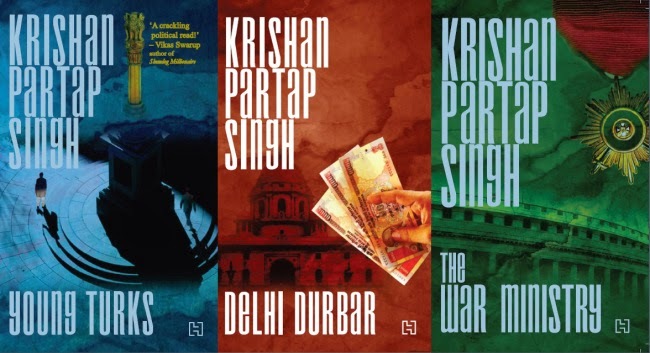 I am a novelist, a political novelist to be specific, and in my novels I try to construct credible political scenarios for India in a parallel universe, similar to ours but not quite. Let’s create another parallel universe now where, to make it interesting, suppose that Arvind Kejriwal is Prime Minister of India. Yes, yes, I know what you’re thinking, but this is my creation and you don’t get a vote! Now let’s say Prime Minister Arvind Kejriwal, drunk with power and hubris as all PM’s become sooner or later, makes use of his considerable knowledge about EVMs and orders his aides in the PMO to do whatever is required to tamper EVMs in order to insure electoral success for the conceivable future. Could the PMO pull it off? Possibly. How? Keep reading. The two PSUs that manufacture EVMs are Bharat Electronics Ltd (BEL), which comes under the Defence Ministry, and Electronics Corporation of India Ltd (ECIL), which comes under the Department of Atomic Energy whose minister is the PM himself. Chief executives of PSUs are not generally known to ask too many questions when orders come down from the PMO, and even if some brave soul did show some spine the PMO could appoint a new CMD to either PSU in the blink of an eye. “To begin with every EVM needs to be kept in a secure environment so that it is cannot be tampered with. However, what we had found is that these machines were dumped in an open yard which made it vulnerable to tampering. As a result of dumping these machines in the open, many had gone missing and the ECI has not yet revealed these details to us. The most important part of this machine is the chip, which contains the source code. We suggested that since these machines were kept in the open, it would be advisable to at least change the chip. These chips cost not more than Rs 100 each. Quite an indictment of our electoral process by Shri Rao. So all the PMO would have to do is nudge the two PSUs to give EVM maintenance contracts to private entities of their choosing and over time these engineers would have access to an ever increasing percentage of the EVMs and do as they wish with machines. I’m informed that changing the motherboard of the EVM, which contains the chip, would take no more than a minute. Not that these engineers would be in any hurry, since they would be legitimately doing their jobs and have no time limitation. The Election Commission would be utterly oblivious to what was going on. They would seal and lock the EVMs shortly before the next round of elections without the slightest clues that the EVMs had been tampered and done so through routine maintenance that they themselves had sanctioned. Election Commission would genuinely keep parroting that “our EVMs cannot be tampered” and do so while fully believing it. After this on polling day the ruling party would send their people, as bona fide voters, to the polling booths with the tampered EVMs and the deed would be done, whether by punching in a code, as demonstrated in the Delhi Assembly, or even by sending a signal from a mobile phone to the EVM if the tampering is of a higher order. The EVMs that seemed normal up till this point would thereafter start manipulating the vote tally as instructed. For a more detailed explanation read this eye-opening interview with Professor Poorvi Vora of George Washington University in The Hindu. I admit I have oversimplified the scenario slightly for the benefit of coherence because in addition to the actual tampering getting the tampered EVMs positioned in polling booths likely to give maximum electoral advantage would require some manipulation at the level of the Election Commission. But I have little doubt our Prime Minister Arvind Kejriwal, sneaky little fellow that he is, would be able in due course to appoint Election Commissioners owing loyalty to him and the Election Commission would become suitably pliant. And in the meantime if any EVMs ‘malfunctioned’, having been observed voting only for the ruling party, they would be whisked away by the Election Commission before any neutral experts could run diagnostics on them. If opposition parties ever raised genuine objections about EVMs the Election Commission would refuse to hold a proper hackathon and instead agree to a ‘challenge’ where experts would be expected to hack the EVMs using extra-sensory powers because they would actually be forbidden from touching the EVMs. All this while, the credibility of EVMs was increasingly questioned in other continents like Africa to where they were exported. This is all hypothetical, of course, I’m sure the current government would never be as underhanded as the fictional Prime Minster Kejriwal in my scenario. But my point is a larger one, that when the Election Commission is blind to advances in technology and leaves loopholes in its processes that any ruling party can feasibly take full advantage of, the Election Commission is letting us all down, because no Prime Minister ever attained his high office and no ruling party ever won a general election by following their sense of fair play. Going forward we are told that VVPAT EVMs which leave a paper trail will put all doubts to end. At the same time we now hear of this magic cable that can be used to connect the ballot unit and the control unit of an EVM and thereafter manipulate the vote tally without having to tamper with the EVM’s circuitry at all. If you build it, someone will hack it. As I sit writing this piece, computer systems across the world are reeling from the worst ever hack in the form of a ransomware attack. That’s the world we live in today while the Election Commission is living in denial. I’ll leave it for you to decide whether the scenario I described above is feasible. But I must conclude with due apologies to the real life Arvind Kejriwal who was the driving force behind the EVM tampering demonstration in the Delhi Assembly, overcoming many naysayers and who, I assure you, is not a sneaky little fellow at all. Non sense article... it assumes everything in the world compromised from Election Commion to manufaturer to maintenance engineers to booth level officers to booth level voters who enters the code... and with this level of compromise you agree you don't have any shred of evidence to prove it, how illogical is that... but then you are Kejri supporter, no wonder. Please prove it wrong. Why is the EC dithering for the hackathon tells its own story. Assuming everyone as saint is also not right. People/companies don't go for audit because they are assumed to be committing frauds. Philosophy of audit or transparency is not based on doubt but based on the fact, if there are discrepancies in the system whether in accounting or voting, they need to be fixed. People of the country seriously need to think objectively let us not allow our minds to be polluted with political ideologies. Kejri or Modi will not be there forever. All that would remain would be system that every citizen would have to live with, good or bad, Whatever we support would stay there. Someone has wisely said "it is easy to fool people than to convince them that they have been fooled"
God bless my country. Amen! EVM tampering - it seems to be universal truth now. Democracy??? Thank you for this great article can election be stolen.keep more updates. you are posting such a new idea is very interesting and give updates. Hi-Bird Cycles, a company of renowned Safari Group launched largest range of models in one go. In addition, out of 150 existing models, more than 90 have been given a fresh look. Company, known for pioneering in to the fashion bicycles has become the only bicycle brand to launch such a vast range altogether. With the new colors, latest decals and unique designs, the new launched bicycles are targeting the young peddling enthusiasts. These models cover all bicycle segments for boys, girls, kids and classic Indian Bicycles. Since the inception of Hi-bird, almost two decades back, the brand has a tradition of introducing Gen-next style statement bicycles almost every 3rd month. Where, the brand has been known to introduce premium models, this time the launch includes bicycle for all range and choices. The new range varies between Rs.3000 to Rs.50,000. In the existing range, Hi-Bird has bicycles upto Rs.2 lacs. You started with "I'm a novelist" ! You admitted that it's a hypothesis you have created ! Now pray tell if the entire chain is compromised from PM to that last technician(assuming that they're more loyal than PIDI's) how is any other party can come to power ever ?? And then in disguise you desperately want the reader to trust Kejriwal & Co. like they are the only honest left in this nation !! This is quite hilarious though.